The Southern Food & Beverage Museum is a unique and comfortable space, reminding you of both your mother's kitchen and a country juke joint. With an exhibit for each of the Southern states, the curious and winding La Galerie de L'Absinthe, a top of the line demonstration kitchen, and the grand Museum of the American Cocktail, an event at SoFAB means you're giving your guests a little extra. In the glow of vintage neon signs, guests can sip cocktails, eat, and mingle, while trying out turn of the century kitchen tools. The Museum Exhibit Hall is a Special Place for your Special Event! We are available to host your party, corporate gathering, cocktail reception, wedding, rehearsal dinner or fundraiser in and among the exhibits in what we call a movable feast. Chefs perform live action cooking as guests look on and bartenders pour delicious cocktails in front of the Museum of the American Cocktail exhibit area. SoFAB also features the Rouses Culinary Innovation Center by Jenn-Air, a flexible educational space that can be rented for intimate sit-down dinners, business meetings or presentations, wine tastings, kids' birthday parties, showers, seated or buffet lunch or dinner or hands on culinary training! Chefs are available to demonstrate their techniques and dishes; guests can see what is cooking via two overhead monitors. We offer cooking and demonstration classes as well, so be sure to consider adding an interactive element to your next event. 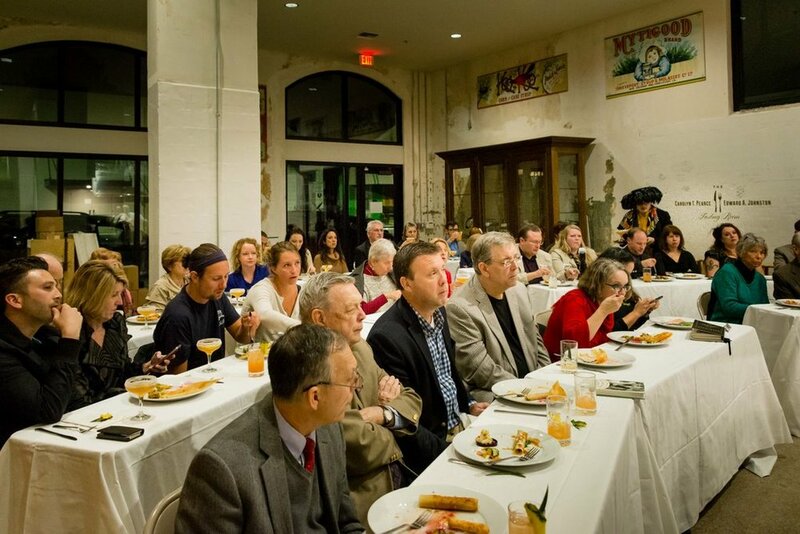 Take your guests on a tour of the South through the vibrant environment of the Southern Food & Beverage Museum! Ready to book your event or find out more information? Please fill out the form below or call our offices at 504-267-7490 or the Museum at 504-569-0405. Please choose the type of event you're interested in having at the Southern Food & Beverage Museum. This is not an exhaustive list, but gives us an idea of where to start! Thank you for your inquiry! One of our event coordinators will be in touch shortly. More photos of the museum in action can be found on our Facebook page here.